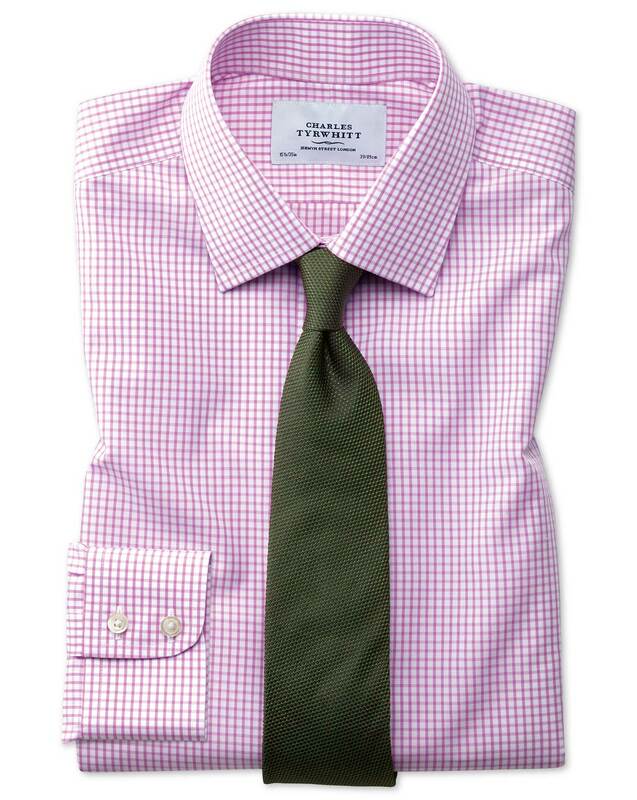 All the shirts are truly no-iron, stylish, and fir perfectly. Beautiful color and style. When it arrived, I realized I forgot to add French cuffs, but i don't have the heart to send it back. The shirt was attractive and felt nice, but the cut is much too small across the shoulders. It fit everywhere but the shoulders, and I'm not exactly a broad shoulders individual. Even the classic cut is cut for much smaller than normal person. Response from Charles Tyrwhitt: We appreciate your feedback on this and I am sorry your attempt at ordering shirts with us was unsuccessful on this occasion. While the Classic Fit is the most generous fit we offer, some customers will simply not suit the style of our shirts despite our best efforts to cater for everyone. Response from Charles Tyrwhitt: Here at Charles Tyrwhitt we appreciate the importance of a perfect fitting shirt - in fact in our opinion this is one of the most important things to accomplish! I am sorry to hear that the Classic Fit was not the most suited fit for you. This is certainly our most roomiest fit, so therefore quite loose in style. We understand that different people prefer different fits which is why we offer Classic, Slim, Extra Slim and Super Slim Fits. I would perhaps recommend trying one of our Slim Fit shirts. You are of course more than welcome to return or exchange these shirts with our no quibble 6 month guarantee, to ensure that you receive something that you can truly love. The only shirts I buy and wear.